Compilation of a consolidated (All-Russian) catalog of daguerreotypes is an integral part of the historical section of the state-run program Preservation of Photographic Documents in the State-Owned Collections of the Russian Federation. Fact-finding and material collection for the Catalog created a whole new branch in the research and presentation of the national collections of historical documents and, in the meantime, demonstrated a patent dearth of scientific instruments for this kind of material, as opposed to paintings and graphic art. Lack of scientific literature on the history of photography of the 1840s–1860s, combined with the total absence of registries of daguerreotypists, both Russian-born and foreign, active in Russia at the time, hinder a good deal proper dating and attribution of the plates. The present state of daguerreotypes, their physical and chemical deterioration add extra, in many cases almost unsurmountable, difficulties to researchers. But all of these, nonetheless, did not prevent the compilers of the catalog The Daguerreotype in Russia from publishing the entire body of silver pictures discovered in the state-owned collections. Not only did they save these unique specimens from oblivion and “fading away,” but they also gave an impulse to further thorough studies of this priceless inheritance of our national history and culture. This publication of the scientific consolidated catalog The Daguerreotype in Russia is conducted by the State Museum and Exhibition Center ROSPHOTO within the framework of the state program for preservation of the national photography inheritance. 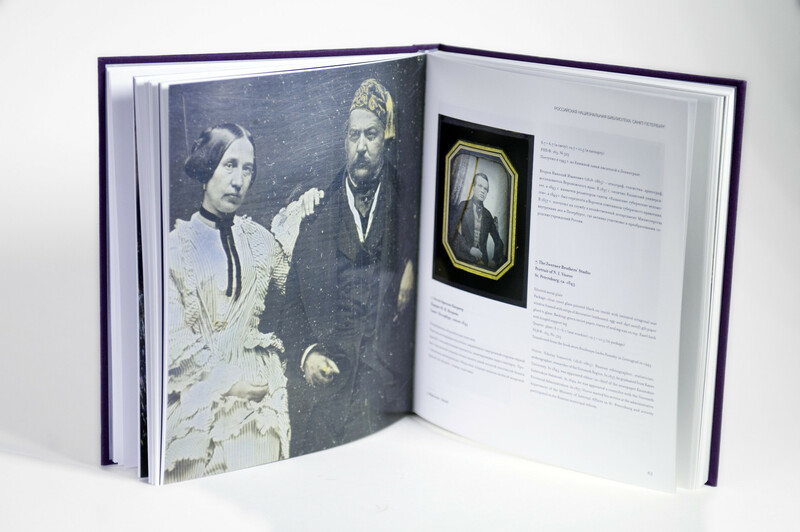 The Catalog acquaints its readers – history buffs and professionals — with the daguerreotypes currently stored in the collections of state museums, archives and libraries of the Russian Federation. All of these “metal drawings” were made by means of the earliest photographic process invented in France in 1839 by L. J. M. Daguerre and based on the research by J. N. Niépce. 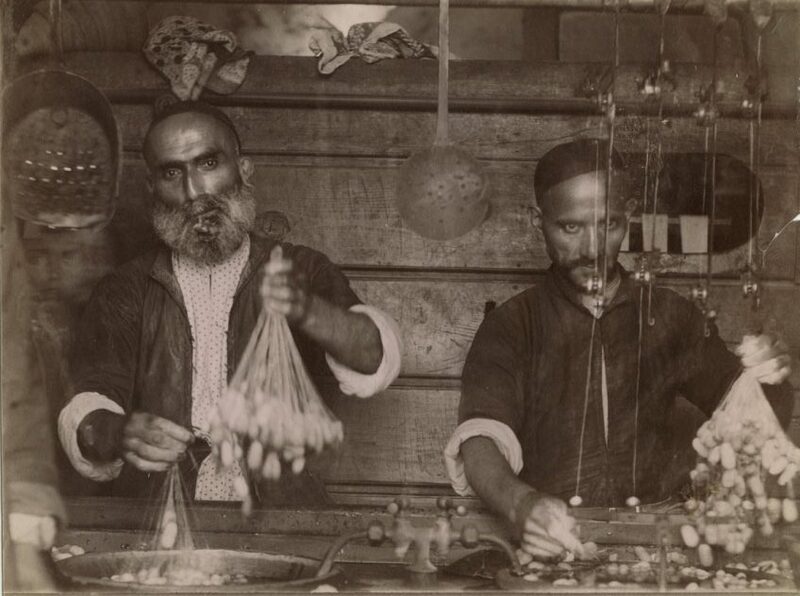 The method was used extensively in the 1840s through the 1860s, and was constantly enhanced and bettered by svetopis (photography) enthusiasts in all corners of the globe. The major Moscow and St. Petersburg institutions are not the only project participants. Among those are also various regional museums and state archives. All the participating parties used the same methods of picture digitization and data cataloging, developed and introduced specifically for this project. Besides employees of ROSPHOTO, several prominent specialists – historians, art experts, archivists — were invited to serve on the Editorial Board. Project Leader: Z. M. Kolovsky (ROSPHOTO, Director General). Editorial Board: E. V. Barkhatova (RNL), A. V. Maksimova (ROSPHOTO, Chair), T. G. Saburova (SHM), O. F. Uimanen (ROSPHOTO). Publications of daguerreotype collections began in 1999, when the State Historical Museum held a temporary exhibition on its premises, At the Origins of Photographic Art, accompanied by the publication of a full catalog of their collection of “pictures on metal,” the largest one in Russia. A catalog of the collection of daguerreotypes held at the State Hermitage in St. Petersburg was published in 2012. It was preceded by the catalog of an exhibition held at this major world-class museum a year earlier, The Era of the Daguerreotype. Early Photography in Russia (2011). In addition to these major collections of the two Russian capitals, studied and published on a regular basis, there is plenty of rare specimens of early “photography on silver,” held in a great number of local museums, libraries and archives throughout Russia, for which this Catalog will be their first ever appearance in a print publication. Featured all together and introduced to the scientific community via this unique medium, they undoubtedly enrich the potential of wide areas of humanitarian and technical knowledge and, moreover, provide us with one more vantage point of looking back at the evolution of national visual art. The volumes of this publication, while sticking to its general concept and following its rules of object description, differ, nonetheless, from each other in minor aspects: some of them, for instance, are dedicated entirely to a single collection, while others feature on their pages a number of smaller collections. As of today, five volumes of the Catalog have been put out: two of them feature just one collection each, and three volumes come with collection assortments. The total number of already published daguerreotypes reached 686. At least 335 specimens are still in the works. Volume I united the collections of the Science Library of the Russian Academy of Arts (St. Petersburg), Russian Museum of Ethnography (St. Petersburg), State Russian Museum (St. Petersburg), Russian National Library (St. Petersburg), State Museum of Leo Tolstoy (Moscow), Leo Tolstoy “Yasnaya Poliana” Museum-Estate State Memorial and Nature Reserve (Tula Region, Yasnaya Poliana), St. Petersburg State Museum of Theater and Musical Art (St. Petersburg), A. A. Bakhrushin Central Theater Museum (Moscow), M. I. Glinka All-Russian Museum Association of Musical Culture (Moscow), National Museum of the Republic of Tartarstan, St. Petersburg Branch of the Archive of the Russian Academy of Sciences, F. I. Tyutchev Muranovo Estate Reserve, Military and History Museum of Artillery, Engineering and Signal Corps (St. Petersburg), Peterhof State Museum Reserve, Pavlovsk State Museum Reserve, and Arkhangelskoe Museum-Estate (Moscow). Volume II includes the collections of the Irkutsk Regional Museum, Irkutsk Regional Historical and Memorial Museum of Decembrists, State Museum of A. S. Pushkin (Moscow), All-Russian Museum of A. S. Pushkin (St. Petersburg), Tobolsk State Historical and Architectural Museum-Reserve, Krasnoyarsk Regional Museum, Museum-Estate of N. G. Chernyshevsky (Saratov), State Literary and Memorial Museum of N. A. Dobrolubov (N. Novgorod), Nizhny Novgorod United Museum-Reserve, State Museum of A. M. Gorky (N. Novgorod), Nizhny Novgorod State Historical and Architectural Museum-Reserve, Russian Museum of Photography (N. Novgorod Region), Museum of Organic Culture (Kolomna), Multimedia Complex of Actual Arts (Moscow), Polytechnic Museum (Moscow), V. K. Arseniev Primorksy United Museum (Vladivostok), Yaroslavl State Historical Architectural and Art Museum-Reserve, Pereslavl-Zalessky State Historical Architectural and Art Museum-Reserve, Cherepovets Museum Association, Vologda State Historical Architectural and Art Museum-Reserve, State Historical and Art Museum-Reserve “Abramtsevo,” Orel State United Literary Museum of I. S. Turgenev, Kostroma State Historical Architectural and Art Museum-Reserve, I. A. Goncharov Ulianovsk Regional Museum, State Museum of History of St. Petersburg, Literary and Memorial Museum of F. M. Dostoevsky (St. Petersburg), State Memorial Museum of A. V. Suvorov (St. Petersburg), Central Navy Museum (St. Petersburg), Sverdlovsk Regional Museum, State Tretyakov Gallery (Moscow), State Museum-Reserve “Rostov Kremlin”, Russian State Archive of Literature an Art (Moscow), Russian State Library (Moscow), Russian State Library of Art (Moscow), Ivangorod Museum, State Museum and Exhibition Center ROSPHOTO (St. Petersburg), Russian National Library (St. Petersburg), State A. A. Bakhrushin State Central Museum of Theater (Moscow), Kirov Regional Museum, Literary and Art Museum Estate “Priyutino,” and Historical and Memorial Museum Estate of P. E. Shchrbov (Gatchina). The SHM Volume presents the collection of the State Historical Museum (Moscow). It includes new data gleaned in the course of ongoing research and restoration activities. The editors dedicated Volume III to the collection of the Literary Museum of the Institute of Russian Literature (Pushkin House) of the Russian Academy of Sciences in St. Petersburg. The Pushkin House Collection is third in size after the collections of the State Historical Museum and Russian State Library. Volume IV acquaints the readers with the collection of the State Literary Museum — the largest literary museum in Russia and one of the largest in the world — which was founded on the idea of documenting and presenting to the public the entire history of Russian literature, from its very beginnings to the present day. 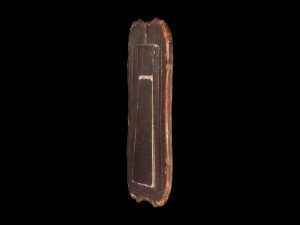 A task of such a scope could be implemented only on an enormous bulk of historic material, which the State Literary Museum certainly possesses. Daguerreotypes constitute an infinitesimally small part of its vast collection. But, like any other items in it, they — either by their origin, setup, or history — are inseparably connected to the literary chronicles of Russia. Three more volumes of the consolidated catalog The Daguerreotype in Russia are currently going through preparation stages. Volume V will be fully dedicated to the collection of the State Russian Library (Moscow) — about 250 plates; Volume VI will present to the public the unique collection of the State Hermitage (St. Petersburg) — about 58 plates; Volume VII will feature all the reference material: a biography index of daguerreotypists, samples of studio logos, a list of all the (known) persons photographed, bibliographic data, etc. The uniqueness of this project lies not only in new historical discoveries, attribution breakthroughs, creation of a reference base for future studies and introduction of new methods of attributing and cataloging daguerreotypes, but also in the fact that it allows us to publish many priceless photographic monuments of the national caliber, which laid the grounds for the creation of the Registry of the most valuable photographic items in the state-owned collections of the Russian Federation.